The “Little Old Bonsall Schoolhouse.” Photo credit Peggy Rossi. 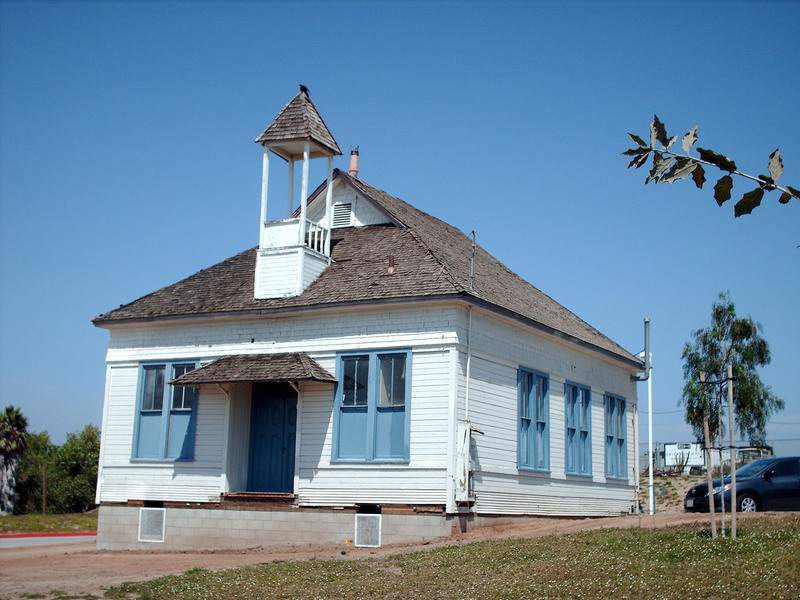 The Bonsall Union School District operates four schools today. However, if you mention the “little old Bonsall Schoolhouse” to most local residents they’ll know which school you’re talking about: the one-story wood-frame building with the bell tower in front on Old River Road. The building still stands today, being restored as a county historic site by the school district with the help of the Bonsall Woman’s Club. In 1984 the club’s Landmarks and History Section published the book The Little Old Bonsall Schoolhouse, which helped secure the building’s status as a history site and is the source of much of what’s known about the school. I can’t say for sure whether the district’s salary policy had anything to do with it, but by the early 1900s, Mrs. Averill had moved to Arizona, where she taught English and Physical Culture at the state Normal School, which is now Arizona State University. She would return to California within a few years to teach in Oceanside, but not before she made a unique contribution to her adopted state. She collaborated with her sister to compose a song, “Hail to Arizona! The Sun-Kissed Land,” which was adopted by the Territorial Legislature (Arizona being still a territory then) as the territory’s official anthem. It would remain Arizona’s official song until 1919, according to a May 2015 article in The Arizona Republic. Elise Reed Averill retired after decades as a schoolteacher in San Diego County and died here in 1958 at the age of 104. While the lyrics she wrote to a state anthem may be the closest to celebrity status she ever got, perhaps generations of educated students from Bonsall to Phoenix to Oceanside are her greatest legacy.